On 23 June 1999, the Democratic Republic of the Congo (hereinafter “the DRC”) filed in the Registry of the Court an Application instituting proceedings against the Republic of Uganda (hereinafter “Uganda”) in respect of a dispute concerning “acts of armed aggression perpetrated by Uganda on the territory of the Democratic Republic of the Congo, in flagrant violation of the United Nations Charter and of the Charter of the Organization of African Unity” (emphasis in the original). The Court finds it convenient, in view of the many actors referred to by the Parties in their written pleadings and at the hearing, to indicate the abbreviations which it will use for those actors in its judgment. Thus […] the Alliance of Democratic Forces for the Liberation of the Congo (Alliance des forces démocratiques pour la libération du Congo) [will hereinafter be referred to] as the AFDL, the Congo Liberation Army (Armée de libération du Congo) as the ALC, […] the Rwandan Armed Forces (Forces armées rwandaises) as the FAR, […] the Congo Liberation Movement (Mouvement de libération du Congo) as the MLC, […] the Congolese Rally for Democracy (Rassemblement congolais pour la démocratie) as the RCD, […] [and] the Uganda Peoples’ Defence Forces as the UPDF […]. The DRC explains that in 1997 Laurent-Désiré Kabila, who was at the time a Congolese rebel leader at the head of the AFDL (which was supported by Uganda and Rwanda), succeeded in overthrowing the then President of Zaire, Marshal Mobutu Ssese Seko, and on 29 May 1997 was formally sworn in as President of the renamed Democratic Republic of the Congo. The DRC asserts that, following President Kabila’s accession to power, Uganda and Rwanda were granted substantial benefits in the DRC in the military and economic fields. The DRC claims, however, that President Kabila subsequently sought a gradual reduction in the influence of these two States over the DRC’s political, military and economic spheres. It was, according to the DRC, this “new policy of independence and emancipation” from the two States that constituted the real reason for the invasion of Congolese territory by Ugandan armed forces in August 1998. The DRC maintains that […] in an official statement published on 28 July 1998 […], President Kabila called for the withdrawal of foreign troops from Congolese territory. Although his address referred mainly to Rwandan troops, the DRC argues that there can be no doubt that President Kabila intended to address his message to “all foreign forces”. The DRC states that […] during the night of 2 to 3 August 1998 Congolese Tutsi soldiers and a few Rwandan soldiers not yet repatriated attempted to overthrow President Kabila. According to the DRC, Uganda began its military intervention in the DRC immediately after the failure of the coup attempt. The DRC argues that on 4 August 1998 Uganda and Rwanda organized an airborne operation, flying their troops from Goma on the eastern frontier of the DRC to Kitona, some 1,800 km away on the other side of the DRC, on the Atlantic coast. The DRC alleges that the aim was to overthrow President Kabila within ten days. According to the DRC, in the advance towards Kinshasa, Ugandan and Rwandan troops captured certain towns and occupied the Inga Dam, which supplies electricity to Kinshasa. The DRC explains that Angola and Zimbabwe came to the assistance of the Congolese Government to help prevent the capture of Kinshasa. The DRC also states that in the north-eastern part of the country, within a matter of months, UPDF troops had advanced and had progressively occupied a substantial part of Congolese territory in several provinces. The DRC submits that Uganda’s military operation against the DRC also consisted in the provision of support to Congolese armed groups opposed to President Kabila’s Government. The DRC thus maintains that […] at the end of September 1998 Uganda supported the creation of the new MLC rebel group […]. According to the DRC, Uganda was closely involved in the recruitment, education, training, equipment and supplying of the MLC and its military wing, the ALC. The DRC alleges that the close links between Uganda and the MLC were reflected in the formation of a united military front in combat operations against the FAC. The DRC maintains that in a number of cases the UPDF provided tactical support, including artillery cover, for ALC troops. Thus, the DRC contends that the UPDF and the ALC constantly acted in close co-operation during many battles against the Congolese regular army. The DRC concludes that Uganda, “in addition to providing decisive military support for several Congolese rebel movements, has been extremely active in supplying these movements with a political and diplomatic framework”. […] The DRC claims that at the Victoria Falls Summit, which took place on 7 and 8 August 1998, […] “member countries of the SADC [Southern African Development Community], following the submission of an application by the Democratic Republic of the Congo, unequivocally condemned the aggression suffered by the Congo and the occupation of certain parts of its national territory”. […] On 18 April 1999 the Sirte Peace Agreement was concluded, in the framework of the Lusaka peace process, between President Kabila of the DRC and President Museveni of Uganda. The DRC explains that, under this Agreement, Uganda undertook to “cease hostilities immediately” and to withdraw its troops from the territory of the DRC. The Lusaka Agreement was signed by the Heads of State of the DRC, Uganda and other African States (namely, Angola, Namibia, Rwanda and Zimbabwe) on 10 July 1999 and by the MLC and RCD (rebel groups) on 1 August 1999 and 31 August 1999, respectively. The DRC explains that this Agreement provided for the cessation of hostilities between the parties’ forces, the disengagement of these forces, the deployment of OAU verifiers and of the United Nations Mission in the Democratic Republic of the Congo (hereinafter “MONUC”), to be followed by the withdrawal of foreign forces. On 8 April 2000 and 6 December 2000 Uganda signed troop disengagement agreements known as the Kampala plan and the Harare plan. According to the DRC, following the withdrawal of Ugandan troops from its territory in June 2003, Uganda has continued to provide arms to ethnic groups confronting one another in the Ituri region, on the boundary with Uganda. The DRC further argues that Uganda “has left behind it a fine network of warlords, whom it is still supplying with arms and who themselves continue to plunder the wealth of the DRC on behalf of Ugandan and foreign businessmen”. According to Uganda, in 1997 the AFDL, made up of a loose alliance of the combined forces of the various Congolese rebel groups, together with the Rwandan army, overthrew President Mobutu’s régime in Zaire. Uganda asserts that upon assuming power on 29 May 1997, President Kabila invited Uganda to deploy its own troops in eastern Congo in view of the fact that the Congolese army did not have the resources to control the remote eastern provinces, and in order to “eliminate” the anti-Ugandan insurgents operating in that zone and to secure the border region. According to Uganda, it was on this understanding that Ugandan troops crossed into eastern Congo and established bases on Congolese territory. Uganda further alleges that in December 1997, at President Kabila’s further invitation, Uganda sent two UPDF battalions into eastern Congo, followed by a third one in April 1998, also at the invitation of the Congolese President. Uganda states that on 27 April 1998 the Protocol on Security along the Common Border was signed by the two governments in order to reaffirm the invitation of the DRC to Uganda to deploy its troops in eastern Congo as well as to commit the armed forces of both countries to jointly combat the anti-Ugandan insurgents in Congolese territory and secure the border region. Uganda maintains that three Ugandan battalions were accordingly stationed in the border region of the Ruwenzori Mountains within the DRC. […] With regard to the official statement by President Kabila published on 28 July 1998 calling for the withdrawal of Rwandan troops from Congolese territory, Uganda interprets this statement as not affecting Uganda, arguing that it made no mention of the Ugandan armed forces that were then in the DRC pursuant to President Kabila’s earlier invitation and to the Protocol of 27 April 1998. […] Uganda states, however, that by August-September 1998, as the DRC and the Sudan prepared to attack Ugandan forces in eastern Congo, its security situation had become untenable. Uganda submits that “[i]n response to this grave threat, and in the lawful exercise of its sovereign right of self-defence”, it made a decision on 11 September 1998 to augment its forces in eastern Congo and to gain control of the strategic airfields and river ports in northern and eastern Congo in order to stop the combined forces of the Congolese and Sudanese armies as well as the anti-Ugandan insurgent groups from reaching Uganda’s borders. According to Uganda, the military operations to take control of these key positions began on 20 September 1998. Uganda states that by February 1999 Ugandan forces succeeded in occupying all the key airfields and river ports that served as gateways to eastern Congo and the Ugandan border. Uganda maintains that on 3 July 1999 its forces gained control of the airport at Gbadolite and drove all Sudanese forces out of the DRC. “[s]ince that time, not a single Ugandan soldier has been deployed inside the Congo”. As for the support for irregular forces operating in the DRC, Uganda states that it has never denied providing political and military assistance to the MLC and the RCD. However, Uganda asserts that it did not participate in the formation of the MLC and the RCD. “[I]t was only after the rebellion had broken out and after the RCD had been created that Uganda began to interact with the RCD, and even then, Uganda’s relationship with the RCD was strictly political until after the middle of September 1998.” (Emphasis in the original.) According to Uganda, its military support for the MLC and for the RCD began in January 1999 and March 1999 respectively. Moreover, Uganda argues that the nature and extent of its military support for the Congolese rebels was consistent with and limited to the requirements of self-defence. Uganda further states that it refrained from providing the rebels with the kind or amount of support they would have required to achieve such far-reaching purposes as the conquest of territory or the overthrow of the Congolese Government. The Court notes, first, that for reasons given above, no particular formalities would have been required for the DRC to withdraw its consent to the presence of Ugandan troops on its soil. As to the content of President Kabila’s statement, the Court observes that, as a purely textual matter, the statement was ambiguous. More pertinently, the Court draws attention to the fact that the consent that had been given to Uganda to place its forces in the DRC, and to engage in military operations, was not an open-ended consent. The DRC accepted that Uganda could act, or assist in acting, against rebels on the eastern border and in particular to stop them operating across the common border. Even had consent to the Ugandan military presence extended much beyond the end of July 1998, the parameters of that consent, in terms of geographic location and objectives, would have remained thus restricted. The Court will […] consider the events of September 1998 on the basis of the evidence before it. Uganda acknowledges that it sent part of a battalion to Kisangani Airport, to guard that facility, on 1 September 1998. It has been amply demonstrated that on several later occasions, notably in August 1999 and in May and June 2000, Uganda engaged in large-scale fighting in Kisangani against Rwandan forces, which were also present there. The Court notes that a schedule was given by the Ugandan military to the Porter Commission  containing a composite listing of locations and corresponding “dates of capture”. The Court observes that the period it covers stops short of the period covered by the DRC’s claims. This evidence was put before the Court by Uganda. It includes references to locations not mentioned by the DRC, whose list […] is limited to places said to have been “taken”. The Court simply observes that Ugandan evidence before the Porter Commission in relation to the month of September 1998 refers to Kisangani (1 September); Munubele (17 September); Bengamisa (18 September); Banalia (19 September); Isiro (20 September); Faladje (23 September); and Tele Bridge (29 September). Kisangani (1 September) and Isiro (20 September) are acknowledged by Uganda as having been “taken” by its forces (and not just as locations passed through). The Court […] observes that Uganda […] decided in early August 1998 to launch an offensive together with various factions which sought to overthrow the Government of the DRC. The DRC has in particular claimed that, from September 1998 onwards, Uganda both created and controlled the MLC rebel group led by Mr. Bemba. For its part, Uganda acknowledges that it assisted the MLC during fighting between late September 1998 and July 1999, while insisting that its assistance to Mr. Bemba “was always limited and heavily conditioned”. Uganda has explained that it gave “just enough” military support to the MLC to help Uganda achieve its objectives of driving out the Sudanese and Chadian troops from the DRC, and of taking over the airfields between Gbadolite and the Ugandan border; Uganda asserts that it did not go beyond this. Before turning to the second and third submissions of the DRC, dealing with alleged violations by Uganda of its obligations under […] international humanitarian law and the illegal exploitation of the natural resources of the DRC, it is essential for the Court to consider the question as to whether or not Uganda was an occupying Power in the parts of Congolese territory where its troops were present at the relevant time. Judicial Commission of Inquiry into Allegations of Illegal Exploitation of Natural Resources and Other Forms of Wealth in the Democratic Republic of the Congo, set up by the Ugandan Government in May 2001 and headed by Justice David Porter. Mr. Bemba, the leader of the MLC, published a book in 2001 entitled Le choix de la liberté, which gives an account of the conflicts in the Democratic Republic of the Congo. The Court observes that, under customary international law, as reflected in Article 42 of the Hague Regulations of 1907, territory is considered to be occupied when it is actually placed under the authority of the hostile army, and the occupation extends only to the territory where such authority has been established and can be exercised […] [See ICJ/Israel, Separation Wall/Security Fence in the Occupied Palestinian Territory [paras 78 and 89]]. In order to reach a conclusion as to whether a State, the military forces of which are present on the territory of another State as a result of an intervention, is an “occupying Power” in the meaning of the term as understood in the jus in bello, the Court must examine whether there is sufficient evidence to demonstrate that the said authority was in fact established and exercised by the intervening State in the areas in question. In the present case the Court will need to satisfy itself that the Ugandan armed forces in the DRC were not only stationed in particular locations but also that they had substituted their own authority for that of the Congolese Government. In that event, any justification given by Uganda for its occupation would be of no relevance; nor would it be relevant whether or not Uganda had established a structured military administration of the territory occupied. The Court will now ascertain whether parts of the territory of the DRC were placed under the authority of the Ugandan army in the sense of Article 42 of the Hague Regulations of 1907. In this regard, the Court first observes that the territorial limits of any zone of occupation by Uganda in the DRC cannot be determined by simply drawing a line connecting the geographical locations where Ugandan troops were present, as has been done on the sketch-map presented by the DRC […]. It is not disputed between the Parties that General Kazini, commander of the Ugandan forces in the DRC, created the new “province of Kibali-Ituri” in June 1999 and appointed Ms Adèle Lotsove as its Governor. Various sources of evidence attest to this fact, in particular a letter from General Kazini dated 18 June 1999, in which he appoints Ms Adèle Lotsove as “provisional Governor” and gives suggestions with regard to questions of administration of the new province. This is also supported by material from the Porter Commission. The Court further notes that the Sixth report of the Secretary-General on MONUC […] states that, according to MONUC military observers, the UPDF was in effective control in Bunia (capital of Ituri district). The Court considers that regardless of whether or not General Kazini, commander of the Ugandan forces in the DRC, acted in violation of orders and was punished as a result, his conduct is clear evidence of the fact that Uganda established and exercised authority in Ituri as an occupying Power. The Court observes that the DRC makes reference to “indirect administration” through various Congolese rebel factions and to the supervision by Ugandan officers over local elections in the territories under UPDF control. However, the DRC does not provide any specific evidence to show that authority was exercised by Ugandan armed forces in any areas other than in Ituri district. The Court further notes that, although Uganda recognized that as of 1 September 1998 it exercised “administrative control” at Kisangani Airport, there is no evidence in the case file which could allow the Court to characterize the presence of Ugandan troops stationed at Kisangani Airport as occupation in the sense of Article 42 of the Hague Regulations of 1907. Neither can the Court uphold the DRC’s contention that Uganda was an occupying Power in areas outside Ituri controlled and administered by Congolese rebel movements. As the Court has already indicated, the evidence does not support the view that these groups were “under the control” of Uganda (see paragraph 160 above). The Court thus concludes that Uganda was the occupying Power in Ituri at the relevant time. As such it was under an obligation, according to Article 43 of the Hague Regulations of 1907, to take all the measures in its power to restore, and ensure, as far as possible, public order and safety in the occupied area, while respecting, unless absolutely prevented, the laws in force in the DRC. This obligation comprised the duty to secure respect for the applicable rules of […] international humanitarian law, to protect the inhabitants of the occupied territory against acts of violence, and not to tolerate such violence by any third party. The Court, having concluded that Uganda was an occupying Power in Ituri at the relevant time, finds that Uganda’s responsibility is engaged both for any acts of its military that violated its international obligations and for any lack of vigilance in preventing violations of human rights and international humanitarian law by other actors present in the occupied territory, including rebel groups acting on their own account. The Court notes that Uganda at all times has responsibility for all actions and omissions of its own military forces in the territory of the DRC in breach of its obligations under the rules of […] international humanitarian law which are relevant and applicable in the specific situation. The Court first turns to the DRC’s claims that the Ugandan armed forces caused loss of life to the civilian population, committed acts of torture and other forms of inhumane treatment, and destroyed villages and dwellings of civilians. The Court observes that the report of the Special Rapporteur of the Commission on Human Rights of 18 January 2000 […] refers to massacres carried out by Ugandan troops in Beni on 14 November 1999. The Secretary-General in his Third report on MONUC concluded that Rwandan and Ugandan armed forces “should be held accountable for the loss of life and the property damage they inflicted on the civilian population of Kisangani” […]. Security Council resolution 1304 (2000) of 16 June 2000 deplored “the loss of civilian lives, the threat to the civilian population and the damage to property inflicted by the forces of Uganda and Rwanda on the Congolese population”. Several incidents of atrocities committed by Ugandan troops against the civilian population, including torture and killings, are referred to in the report of the Special Rapporteur of the Commission on Human Rights of 1 February 2001 […]. MONUC’s special report on the events in Ituri […] contains much evidence of direct involvement by UPDF troops, in the context of the Hema-Lendu ethnic conflict in Ituri, in the killings of civilians and the destruction of their houses. In addition to particular incidents, it is stated that “[h]undreds of localities were destroyed by UPDF and the Hema South militias” […]; “UPDF also carried out widespread bombing and destruction of hundreds of villages from 2000 to 2002” […]. The Court therefore finds the coincidence of reports from credible sources sufficient to convince it that massive human rights violations and grave breaches of international humanitarian law were committed by the UPDF on the territory of the DRC. MONUC’s special report on the events in Ituri […] states that on 6 and 7 March 2003, “during and after fighting between UPC [Union des patriotes congolais] and UPDF in Bunia, several civilians were killed, houses and shops were looted and civilians were wounded by gunshots . . . Stray bullets reportedly killed several civilians; others had their houses shelled.” […] In this context, the Court notes that indiscriminate shelling is in itself a grave violation of humanitarian law. The Court finds that there is convincing evidence of the training in UPDF training camps of child soldiers and of the UPDF’s failure to prevent the recruitment of child soldiers in areas under its control. The Fifth report of the Secretary-General on MONUC […] refers to the confirmed “cross-border deportation of recruited Congolese children from the Bunia, Beni and Butembo region to Uganda”. The Eleventh report of the Secretary-General on MONUC […] points out that the local UPDF authorities in and around Bunia in Ituri district “have failed to prevent the fresh recruitment or re-recruitment of children” as child soldiers. MONUC’s special report on the events in Ituri […] refers to several incidents where Congolese children were transferred to UPDF training camps for military training. Having examined the case file, the Court considers that it has credible evidence sufficient to conclude that the UPDF troops committed acts of killing, torture and other forms of inhumane treatment of the civilian population, destroyed villages and civilian buildings, failed to distinguish between civilian and military targets and to protect the civilian population in fighting with other combatants, incited ethnic conflict and took no steps to put an end to such conflicts, was involved in the training of child soldiers, and did not take measures to ensure respect for human rights and international humanitarian law in the occupied territories. With regard to the claim by the DRC that Uganda carried out a deliberate policy of terror, confirmed in its view by the almost total impunity of the soldiers and officers responsible for the alleged atrocities committed on the territory of the DRC, the Court, in the absence of specific evidence supporting this claim, does not consider that this allegation has been proven. The Court, however, wishes to stress that the civil war and foreign military intervention in the DRC created a general atmosphere of terror pervading the lives of the Congolese people. The Court turns now to the question as to whether acts and omissions of the UPDF and its officers and soldiers are attributable to Uganda. The conduct of the UPDF as a whole is clearly attributable to Uganda, being the conduct of a State organ. According to a well-established rule of international law, which is of customary character, “the conduct of any organ of a State must be regarded as an act of that State” […]. The conduct of individual soldiers and officers of the UPDF is to be considered as the conduct of a State organ. In the Court’s view, by virtue of the military status and function of Ugandan soldiers in the DRC, their conduct is attributable to Uganda. The contention that the persons concerned did not act in the capacity of persons exercising governmental authority in the particular circumstances, is therefore without merit. It is furthermore irrelevant for the attribution of their conduct to Uganda whether the UPDF personnel acted contrary to the instructions given or exceeded their authority. According to a well-established rule of a customary nature, as reflected in Article 3 of the Fourth Hague Convention respecting the Laws and Customs of War on Land of 1907 as well as in Article 91 of Protocol I additional to the Geneva Conventions of 1949, a party to an armed conflict shall be responsible for all acts by persons forming part of its armed forces. The Court, having established that the conduct of the UPDF and of the officers and soldiers of the UPDF is attributable to Uganda, must now examine whether this conduct constitutes a breach of Uganda’s international obligations. In this regard, the Court needs to determine the rules and principles of international human rights law and international humanitarian law which are relevant for this purpose. It thus concluded that both branches of international law, namely international human rights law and international humanitarian law, would have to be taken into consideration. The Court further concluded that international human rights instruments are applicable “in respect of acts done by a State in the exercise of its jurisdiction outside its own territory”, particularly in occupied territories (ibid., pp. 178-181, paras 107-113). “[i]n addition to the provisions which shall be implemented in peace time, the present Convention shall apply to all cases of declared war or of any other armed conflict which may arise between two or more of the High Contracting Parties, even if the state of war is not recognized by one of them. Optional Protocol to the Convention on the Rights of the Child, Articles 1, 2, 3, paragraph 3, 4, 5 and 6. The Court thus concludes that Uganda is internationally responsible for violations of international human rights law and international humanitarian law committed by the UPDF and by its members in the territory of the DRC and for failing to comply with its obligations as an occupying Power in Ituri in respect of violations of international human rights law and international humanitarian law in the occupied territory. The Court finally would point out that, while it has pronounced on the violations of international human rights law and international humanitarian law committed by Ugandan military forces on the territory of the DRC, it nonetheless observes that the actions of the various parties in the complex conflict in the DRC have contributed to the immense suffering faced by the Congolese population. The Court is painfully aware that many atrocities have been committed in the course of the conflict. It is incumbent on all those involved in the conflict to support the peace process in the DRC and other peace processes in the Great Lakes area, in order to ensure respect for human rights in the region. the applicable rules of international humanitarian law […]. The DRC alleges that, following the invasion of the DRC by Uganda in August 1998, the Ugandan troops “illegally occupying” Congolese territory, acting in collaboration with Congolese rebel groups supported by Uganda, systematically looted and exploited the assets and natural resources of the DRC. According to the DRC, after the systematic looting of natural resources, the Ugandan military and the rebel groups which it supported “moved on to another phase in the expropriation of the wealth of Congo, by direct exploitation of its resources” for their own benefit. The DRC contends that the Ugandan army took outright control of the entire economic and commercial system in the occupied areas, with almost the entire market in consumer goods being controlled by Ugandan companies and businessmen. The DRC further claims that UDPF forces have engaged in hunting and plundering of protected species. The DRC charges that the Ugandan authorities did nothing to put an end to these activities and indeed encouraged the UPDF, Ugandan companies and rebel groups supported by Uganda to exploit natural resources on Congolese territory. The DRC maintains that the highest Ugandan authorities, including President Museveni, were aware of the UPDF forces’ involvement in the plundering and illegal exploitation of the natural resources of the DRC. Moreover, the DRC asserts that these activities were tacitly supported or even encouraged by the Ugandan authorities, “who saw in them a way of financing the continuation of the war in the DRC, ‘rewarding’ the military involved in this operation and opening up new markets to Ugandan companies”. According to the Porter Commission Report, the written message sent by General Kazini in response to the radio message broadcast by the Ugandan President in December 1998 demonstrated that the General was aware of problems of conduct of some UPDF officers, that he did not take any “real action until the matter became public” and that he did not inform the President. The Commission further states that it follows from General Kazini’s message that he, in point of fact, admitted that the allegation that “some top officers in the UPDF were planning from the beginning to do business in Congo was generally true”; “that Commanders in business partnership with Ugandans were trading in the DRC, about which General Kazini took no action”; and that Ugandan “military aircraft were carrying Congolese businessmen into Entebbe, and carrying items which they bought in Kampala back to the Congo”. The Commission noted that, while certain orders directed against the use of military aircraft by businessmen were made by General Kazini, that practice nonetheless continued. The Commission also referred to a radio message of General Kazini in which he said that “officers in the Colonel Peter Kerim sector, Bunia and based at Kisangani Airport were engaging in business contrary to the presidential radio message”. The Commission further stated that General Kazini was aware that officers and men of the UPDF were involved in gold mining and trade, smuggling and looting of civilians. The Commission found that General Kazini was “an active supporter in the Democratic Republic of the Congo of Victoria, an organization engaged in smuggling diamonds through Uganda: and it is difficult to believe that he was not profiting for himself from the operation”. The Commission explained that the company referred to as “Victoria” in its Report dealt “in diamonds, gold and coffee which it purchased from Isiro, Bunia, Bumba, Bondo, Buta and Kisangani” and that it paid taxes to the MLC. The Commission further recognized that there had been exploitation of the natural resources of the DRC since 1998, and indeed from before that. This exploitation had been carried out, inter alia, by senior army officers working on their own and through contacts inside the DRC; by individual soldiers taking advantage of their postings; by cross-border trade and by private individuals living within Uganda. There were instances of looting, “about which General Kazini clearly knew as he sent a radio message about it. This Commission is unable to exclude the possibility that individual soldiers of the UPDF were involved, or that they were supported by senior officers.” The Commission’s investigations “reveal that there is no doubt that both RCD and UPDF soldiers were imposing a gold tax, and that it is very likely that UPDF soldiers were involved in at least one mining accident”. Having examined the case file, the Court finds that it does not have at its disposal credible evidence to prove that there was a governmental policy of Uganda directed at the exploitation of natural resources of the DRC or that Uganda’s military intervention was carried out in order to obtain access to Congolese resources. At the same time, the Court considers that it has ample credible and persuasive evidence to conclude that officers and soldiers of the UPDF, including the most high-ranking officers, were involved in the looting, plundering and exploitation of the DRC’s natural resources and that the military authorities did not take any measures to put an end to these acts. […]. As the Court has already noted (see paragraph 213 above), Uganda is responsible both for the conduct of the UPDF as a whole and for the conduct of individual soldiers and officers of the UPDF in the DRC. The Court further recalls (see paragraph 214 above) that it is also irrelevant for the purposes of attributing their conduct to Uganda whether UPDF officers and soldiers acted contrary to instructions given or exceeded their authority. Thus the Court must now examine whether acts of looting, plundering and exploitation of the DRC’s natural resources by officers and soldiers of the UPDF and the failure of the Ugandan authorities to take adequate measures to ensure that such acts were not committed constitute a breach of Uganda’s international obligations. As the Court has already stated (see paragraph 180 above), the acts and omissions of members of Uganda’s military forces in the DRC engage Uganda’s international responsibility in all circumstances, whether it was an occupying Power in particular regions or not. Thus, whenever members of the UPDF were involved in the looting, plundering and exploitation of natural resources in the territory of the DRC, they acted in violation of the jus in bello, which prohibits the commission of such acts by a foreign army in the territory where it is present. The Court notes in this regard that both Article 47 of the Hague Regulations of 1907 and Article 33 of the Fourth Geneva Convention of 1949 prohibit pillage. The Court finds that there is sufficient evidence to support the DRC’s claim that Uganda violated its duty of vigilance by not taking adequate measures to ensure that its military forces did not engage in the looting, plundering and exploitation of the DRC’s natural resources. “[t]he picture that emerges is that of a deliberate and persistent indiscipline by commanders in the field, tolerated, even encouraged and covered by General Kazini, as shown by the incompetence or total lack of inquiry and failure to deal effectively with breaches of discipline at senior levels”. […] It follows that by this failure to act Uganda violated its international obligations, thereby incurring its international responsibility. In any event, whatever measures had been taken by its authorities, Uganda’s responsibility was nonetheless engaged by the fact that the unlawful acts had been committed by members of its armed forces (see paragraph 214 above). As for the claim that Uganda also failed to prevent the looting, plundering and illegal exploitation of the DRC’s natural resources by rebel groups, the Court has already found that the latter were not under the control of Uganda (see paragraph 160 above). Thus, with regard to the illegal activities of such groups outside of Ituri, it cannot conclude that Uganda was in breach of its duty of vigilance. Thus the Court finds that it has been proven that Uganda has not complied with its obligations as an occupying Power in Ituri district. The Court would add that Uganda’s argument that any exploitation of natural resources in the DRC was carried out for the benefit of the local population, as permitted under humanitarian law, is not supported by any reliable evidence. The Court concludes that it is in possession of sufficient credible evidence to find that Uganda is internationally responsible for acts of looting, plundering and exploitation of the DRC’s natural resources committed by members of the UPDF in the territory of the DRC, for violating its obligation of vigilance in regard to these acts and for failing to comply with its obligations under Article 43 of the Hague Regulations of 1907 as an occupying Power in Ituri in respect of all acts of looting, plundering and exploitation of natural resources in the occupied territory. The Court is of the view that Uganda must be considered as the occupying Power, in the sense of the jus in bello, in Ituri district. It further concludes that it has not been provided with evidence to show that authority as occupying Power was exercised by Ugandan armed forces in any areas other than in Ituri district (Judgment, paragraphs 176 and 177). Although I have no difficulty with the Court’s finding with regard to Ituri district, I have some doubts in respect of the Court’s reasoning leading to the conclusion that Uganda was not in the position of an occupying Power in other areas invaded by the UDPF. “to satisfy itself that the Ugandan armed forces in the DRC were not only stationed in particular locations but also that they had substituted their own authority for that of the Congolese Government” (Judgment, paragraph 173; emphasis added). It is in particular this element of “substitution of the occupant’s authority for that of the territorial power” which leads in my opinion to an unwarranted narrowing of the criteria of the law of belligerent occupation as these have been interpreted in customary law since 1907. “military occupation presupposes a hostile invasion, resisted or un-resisted, as a result of which the invader has rendered the invaded government incapable of exercising its authority, and [secondly] that the invader is in a position to substitute its own authority for that of the former government”. In the present case the first criterion is certainly met; even if the actual authority of the DRC government in the north-eastern part of the country was already decidedly weak before the invasion by the UPDF, that government indisputably was rendered incapable of exercising the authority it still had as a result of that invasion. By occupying the nerve centres of governmental authority – which in the specific geographical circumstances were the airports and military bases – the UPDF effectively barred the DRC from exercising its authority over the territories concerned. The Court in my view did not give sufficient consideration to the fact that it was the Ugandan armed invasion which enabled the Congolese rebel movements to bring the north-eastern provinces under their control. Had there been no invasion, the central government would have been in a far better position to resist these rebel movements. Uganda’s invasion was therefore crucial for the situation as it developed after the outbreak of the civil war. As the decisive factor in the elimination of the DRC’s authority in the invaded area, Uganda actually replaced it with its own authority. I am, therefore, of the opinion that it is irrelevant from a legal point of view whether it exercised this authority directly or left much of it to local forces or local authorities. As long as it effectively occupied the locations which the DRC Government would have needed to re-establish its authority, Uganda had effective, and thus factual, authority. Its argument that it cannot be considered to have been an effective occupying Power, in view of the limited number of its troops, cannot therefore be upheld. The Lusaka Agreement laid the foundation for the re-establishment of an integrated Congolese State structure. For this purpose the status of the two most important rebel movements – the MLC and the RCD – now called the “armed opposition”, was modified; they became formal participants in the open national dialogue (Art. III, para. 19). This new position was reflected in their signing of the agreement as separate parties per the attached list. In my opinion the “upgraded” status of the two rebel movements directly affected Uganda’s position as occupying Power. These movements had become – in the formulation of Chapter VI – the two parties who, together with the central government, had primary responsibility for the re-establishment of an integrated State administration, as spelled out in paragraph 2 of Chapter VI. The Lusaka Agreement certainly did not automatically bring to an end Uganda’s status as occupying Power since that status is based on control in fact. The recognition of the formal status of the RCD and MLC cannot, however, be disregarded. After Lusaka, territorial authority could no longer be seen as vested exclusively in the central government but as being shared with “armed opposition” movements which had been recognized as part of the national authority. Only in those places where it remained in full and effective control, like Ituri district, did Uganda retain its status as occupying Power and in this respect I share the Court’s view that Uganda occupied Ituri district until the date its troops withdrew. As for the other areas where it had carried out its military activities, Uganda should, however, be considered as the occupying Power from the date when it seized the various locations until the signing of the Lusaka Agreement. Even if it retained its military grip on the airports and other strategic locations, it can, as a result of the arrangements made in the Lusaka Agreement, no longer be said to have substituted itself for or replaced the authority of the territorial government since under the terms of the Agreement that authority was also exercised by the rebel movements. Whereas my disagreement with the way in which the Court interpreted the criteria for the applicability of the law of belligerent occupation is to a certain extent merely technical (although not without legal consequences), I have more substantive reservations as to the way in which the phenomenon of “occupation” is dealt with in the dispositif. In the first paragraph of the operative part the Court finds that Uganda, by engaging in military activities against the DRC on the latter’s territory, by occupying Ituri and by supporting the irregular forces having operated on the territory of the DRC, violated the principle of non-use of force and the principle of non-intervention. In my view, the occupation of Ituri should not have been characterized in a direct sense as a violation of the principle of the non-use of force. In their interrelationship the rules on occupation form an important part of the jus in bello or international humanitarian law. The main purpose of that law is to protect persons caught up in conflict, even if it does take into account the interests of the belligerent parties. It does not differentiate between belligerents. In particular, no distinction is made in the jus in bello between an occupation resulting from a lawful use of force and one which is the result of aggression. The latter issue is decided by application of the jus ad bellum, the law on the use of force, which attributes responsibility for the commission of the acts of which the occupation is the result. In the present case, the Court has found that Uganda has violated its obligation under the principle of the non-use of force, since its military activities do not constitute self-defence. It thus has breached its obligations under the jus ad bellum. The Court has also found that Uganda has violated its obligations under the jus in bello, in particular in regard to the district of Ituri, the occupation of which was the outcome of its illegal use of force. It goes without saying that the outcome of an unlawful act is tainted with illegality. The occupation resulting from an illegal use of force betrays its origin but the rules governing its régime do not characterize the origin of the result as lawful or unlawful. Earlier I drew attention to the fact that the reluctance of governments to declare the law of belligerent occupation applicable may be due to the impression that “occupation” has become almost synonymous with aggression and oppression. This resolution, as important as it may be from a legal point of view, does not in all its terms reflect customary law. The reference to military occupation as an act of aggression is in my opinion less than felicitous. Do you agree with the Court that Uganda is not responsible for the acts committed by the MLC, although it is proved to have provided them with some military support and training? What was missing for the Court to hold Uganda responsible? Please provide, from the facts mentioned by the Court in paragraphs 206-212, examples of violations of the IHL provisions mentioned in para. 219. Do you agree with the Court’s definition of occupation? How would you yourself define occupation? Accordingly, would you also conclude that only the district of Ituri was occupied by Uganda? According to you, should Kisangani Airport have been qualified as occupied by Ugandan troops? (HR, Art. 42; GC I-IV, Art. 2) If it was not an occupied territory, would Ugandan forces have been bound by Convention IV in Kisangani Airport (e.g. regarding the prohibition of looting, as affirmed in para. 245)? Does Art. 33 of Convention IV only apply in occupied territory? Could Kisangani possibly be considered Uganda’s own territory? Do you agree with the Court’s interpretation of Art. 42 of the Hague Regulations? Is it using the same threshold as in the Separation Wall/Security Fence Case [See ICJ/Israel, Separation Wall/Security Fence in the Occupied Palestinian Territory [para. 78]]? Or do you agree with Judge Kooijmans’s argument that the Court is thereby narrowing the notion of belligerent occupation? Does the Court give any indication as to the scope of application ratione materiae of the notion of occupation as contained in Convention IV? Should it have done so? Does Convention IV have the same scope of application ratione materiae as the Hague Regulations? If Uganda was not an occupying power in the DRC outside Ituri, were Ugandan soldiers nevertheless bound by Convention IV in such places? Were nationals of the DRC in such places who fell into the power of Ugandan forces protected persons according to Art. 4 of Convention IV? If yes, which provisions of Convention IV applied to such persons? Does any provision of Convention IV cover protected persons who are neither in territory occupied by a warring party nor in a warring party’s own territory? Could places in the DRC outside Ituri, in which the Court holds Uganda responsible for the conduct of its forces (para. 180), have been considered Uganda’s own territory for the purpose of application of IHL? Do you agree with the Court’s conclusion that occupation may be regarded as a form of violation of the principle of non-use of force in international relations? (Para. 245) Does IHL contain any specific provision on natural resources? Are the articles used by the Court relevant for natural resources? (HR, Arts 47 , 53 and 55; GC IV, Art. 33) Are these provisions applicable whether Uganda was the “occupying Power in particular regions” or not? Are the three forms of misappropriation for which the Court finds Uganda responsible all prohibited by IHL? Does the Court define them? Is the exploitation by the occupying power, for economic purposes, of specific resources of an occupied territory prohibited or limited by IHL? Is international human rights law applicable in armed conflicts? If yes, how must it be determined whether that law or IHL prevails in the event of contradiction between them? Does international human rights law apply in an occupied territory? Is it binding upon Uganda in areas of the DRC outside Ituri? Please provide, from the facts mentioned by the Court in paras 206-212, examples of violations of the provisions of international human rights law mentioned in para. 219. Are the human rights mentioned by the ICJ also protected by IHL? 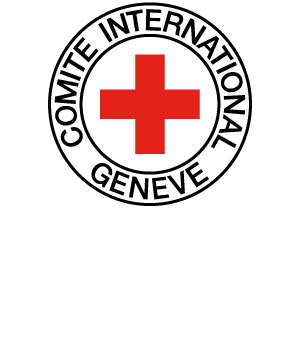 Are there any contradictions between those human rights and IHL? Do they lead the ICJ to reach any conclusion in this case which it would not have reached under IHL? May Uganda be held responsible because it did not prevent the violations of IHL committed by rebel groups in the occupied territories? What is the legal basis used by the Court? Does such an “obligation of vigilance” exist in GC IV? See supra question 8 under “D. Military occupation” – Using a broader definition of occupation, do you think it would be possible to extend Uganda’s responsibility for lack of vigilance to other territories considered by the Court as not occupied, but where Ugandan forces were stationed and where violations of IHL were committed by rebel groups? Do you agree with the Court that Art. 43 of the Hague Regulations contains an obligation of “vigilance” which may be extended to the preservation of natural resources? According to the Court, whose acts should Uganda have tried to prevent? Why? Could Uganda also be held responsible for not preventing violations of IHL in non-occupied territories committed by private persons? Committed by rebel groups over which it had some influence? According to the Court? According to you? Had Uganda an “obligation of vigilance” with regard to the conduct of its own soldiers? Including in non-occupied territory? If Uganda had complied with this obligation of vigilance and its soldiers had nevertheless committed violations of IHL, would Uganda have been absolved of its responsibility for such violations?